According to Chinese Lunar Calendar, tomorrow is 5th day of May, the Dragon Boat Festival, a day in memory of Quyuan, a great poet lived in 340B.C-278B.C in China. 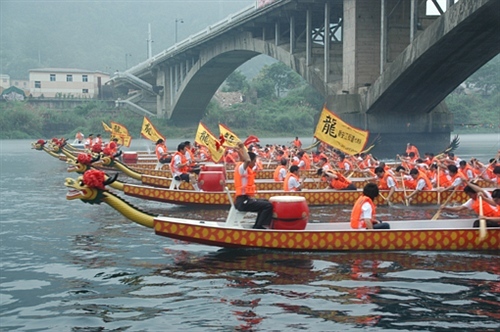 People will eat Zongzi (a type of dumpling, with rice packed in green leaf), and watch Dragon Boat Race. Thanks for Quyuan, we will have a day-break tomorrow so that we will have time to remember him. Wish everybody has a happy holiday tomorrow. You are currently browsing the PCB & MCPCB - Best Technology blog archives for June, 2013.